On Thursday 17th March 2011, Stacey & Peter Carr from our Services Team, welcomed Indiana into the world. Their 1st child, a healthy baby girl weighing 7lb 15oz and 52cm long. Congratulation’s Pete & Stacey, Indiana is absolutely beautiful. 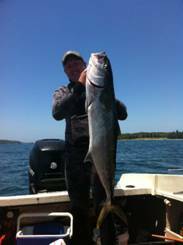 Jamie Silver, Sales Representative for South NSW was busy over the Christmas break out and about in his tinny and spear fishing. 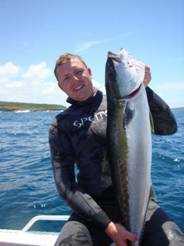 As you can see from the photos he caught some beautiful Kingfish. Asking Jamie where he caught them, he replied like a typical fisherman “secret spot”! Louise Clarke, Marketing Manager returned from maternity leave in February. Her babies are growing up fast. Kirra, now 8 months and Lukas two and a half are full of personality and energy. 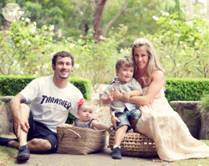 Lukas is busy taking interest in skateboarding, motorbikes and surfing (funny how boys hobbies are the same as their dads! Im sure he will also be fond of Foxtell, beer and all things sport). Kirra on the other hand is too busy with the simpler things in life, like growing. Louise reports Kirra is currently sitting on the 100th percentile for height, weight & head circumference!! (which is kind of funny when Louise is only 5 foot small and her husband Steve isn’t much taller)! 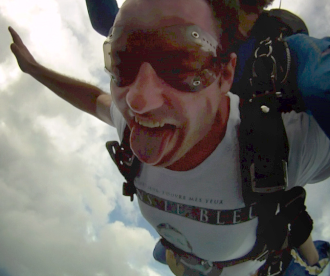 David Carr, Customer Service has been busy jumping out of planes with girlfriend Jodie. Back in February, Dave gave Jodie a skydiving experience for her birthday. The two took a leap of faith by skydiving for the1st time, from 14,000 feet over Wollongong. Dave commented “the experience was amazing, we would do it again in a heartbeat”. 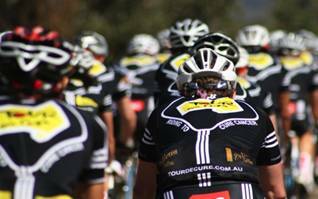 Each year Tour de Cure continues in their fight against cancer and work towards their mission – cure cancer. Money is raised by sponsoring riders who take part in the 10 day charity ride from Sydney to Melbourne which started on the 1st April 2011. Graham Rutter, Services Manager who has been a competitive cyclist for over 20 years, participated in the Guest Ride, from Wollongong to Huskisson. Since beginning in 2007, the tour has raised more than $4 million in the fight against cancer. This year alone more than $1,700,000 has been raised. 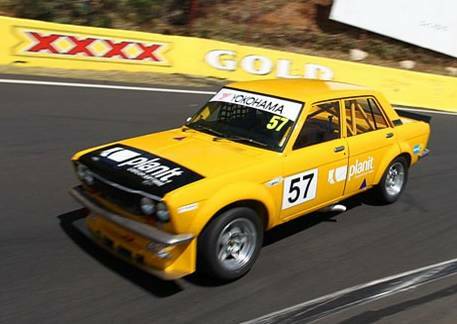 For those of you who thought the only thing Tony Chapman, Sales Representative QLD did was tinker with Planit software, this is the race car he has built that ran at Bathurst last month. It runs in the Improved production Class and is a Datsun 1600 body with a 2Lt turbo charged engine. He was running in the high 2minutes per lap which is about 40-45 seconds behind the V8 Supercar times. He is also running a Formula Ford at Easter, so if you’re going to Bathurst make sure you keep an eye out for him.